Our history dates back to 1814, a time when King George III was on the throne and Wellington was preparing to defeat Napoleon at Waterloo. Auspicious times….but enough European history already! 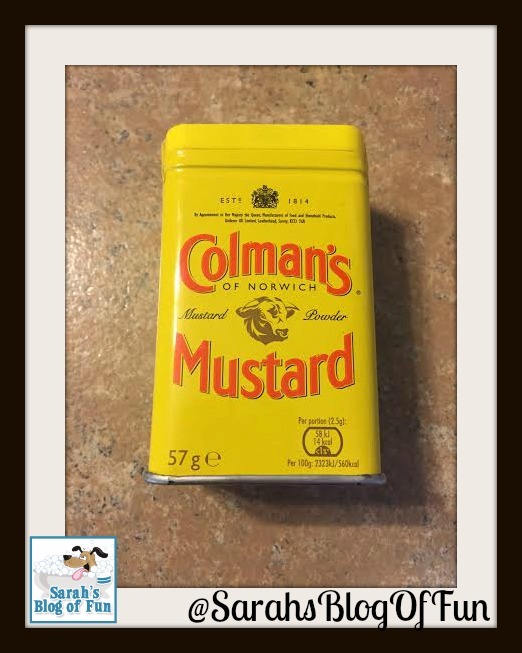 The most important fact to remember about 1814 was that Jeremiah Colman took over a mustard manufacturing business and mustard in England was never to be the same again. 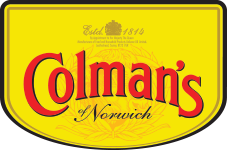 With the zesty blend of high-quality brown mustard seeds (Brassica Juncea) and white mustard seeds (Sinapis Alba) grown and harvested locally around Norwich, Colman’s transcended to be much more than a condiment, it was a bold and spicy staple that captured the hearts and taste buds of a country. For nearly 200 years, we have delivered the finest quality, gourmet spicy mustard, from farm to table, with a fresh and fiery kick that speaks to our time-honored process of mustard making. I love to cook and try new recipes. Ben Sr loves to cook too which is a huge bonus for me!! A couple years ago we bought a Vitamix and we use it all the time. 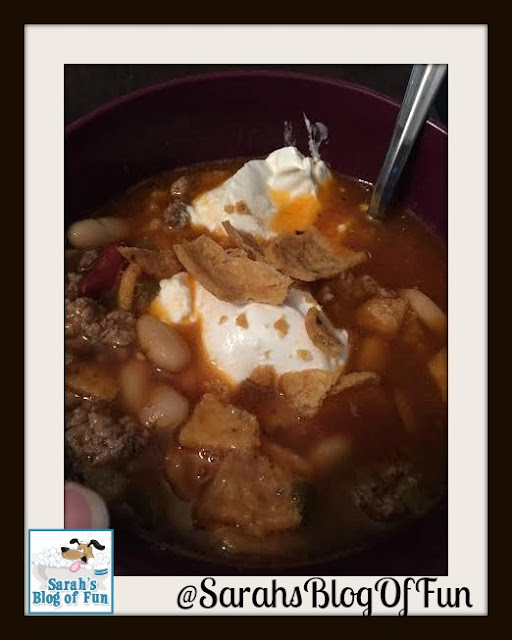 One of the recipes that came with it was a terrific tortilla soup. It is yummy if you follow the recipe, but even better if you make it the way we do!! Here is what you need. Now mind you I am horrible at actually following exact measurements. You can choose to follow them exactly, or do what I do which is wing it to your own tastebuds!! You also do not need a Vitamix machine for this. You can use a plain old pot on the stove!! After browning the hamburger and cooking the mushrooms, mix them in a pot with all of the ingredients except the chips and sour cream. Bring the soup to a boil. Pour in bowls, add a dollop of sour cream, and some crumbled tortilla chips on top and serve. This is a very simple recipe, but absolutely delicious. Using the Colman's mustard adds a great kick to the soup!! We've used the mustard powder in other dishes too, and used the mustard itself on all sorts of sandwiches!! It is delicious!! Let me know if you give this recipe a try. 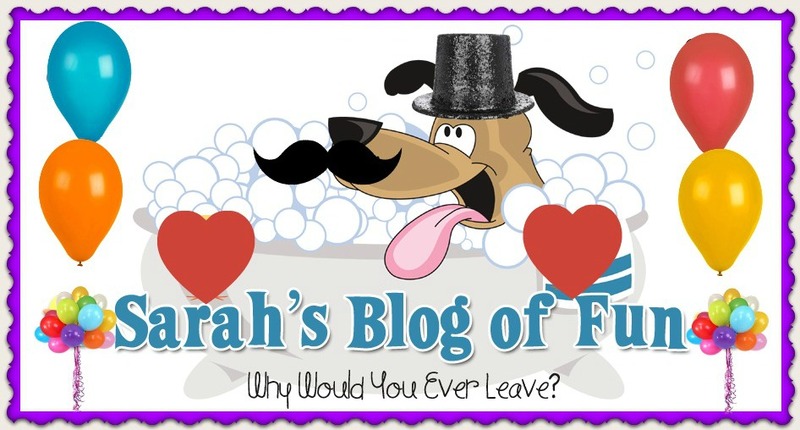 I would love to know what you think! !